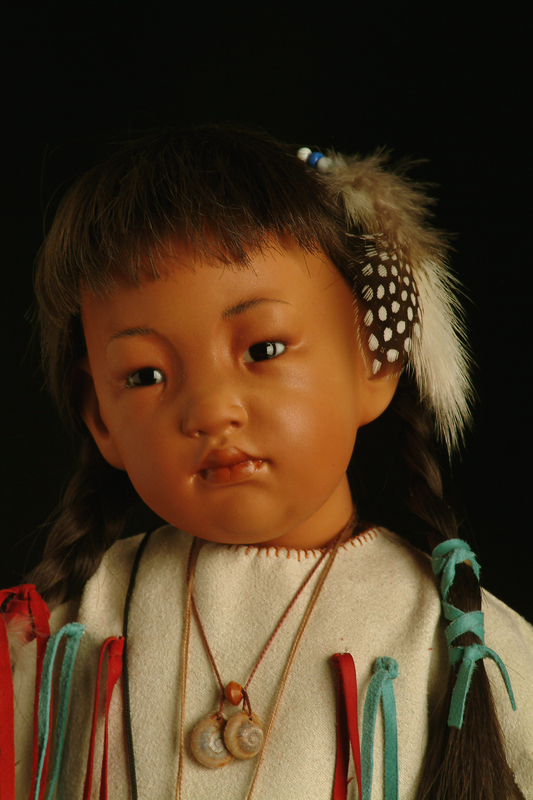 This native American doll measures 44 cm. in height (17,5″). Fully jointed bisque body with jointed hands. Her handmade wig is of real hair and the brown eyes of beautiful hand-crafted glass. 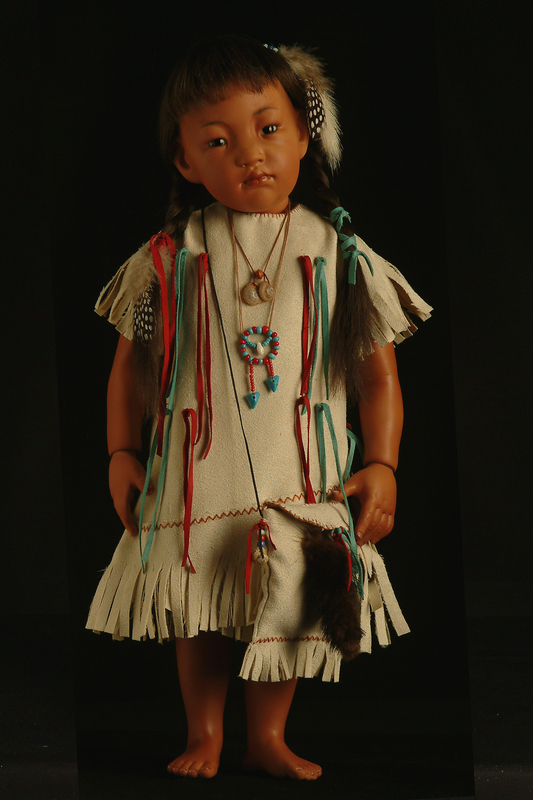 She wears a typical native American dress with accessories.